The Kumberlin Bookcase features adjustable shelves. There will either be 3 or 5 shelves based on what size bookcase you select. 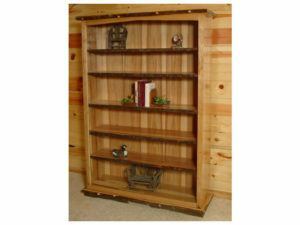 They are perfect for displaying collectibles or just to organize your office space. The 10″ depth on each shelf offer plenty of versatility to this piece. 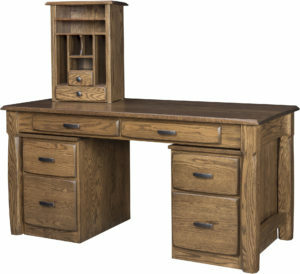 Our Amish artisans create your furniture upon ordering so while this is shown in Red Oak with CFS-12 Dark Walnut, you could order in any a variety of hardwood and stain colors to match your room. 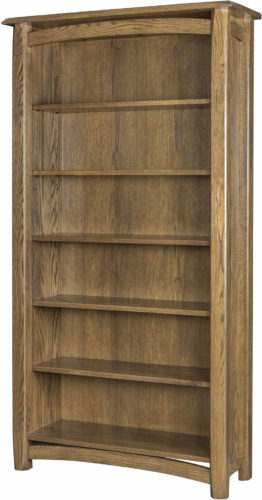 Want to know more about the Kumberlin Bookcase? 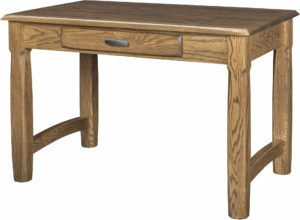 Our furniture specialists are ready to answer any questions you have or they can get started on your order. Contact us or come visit our store in Shipshewana, Indiana.